But swatches first. 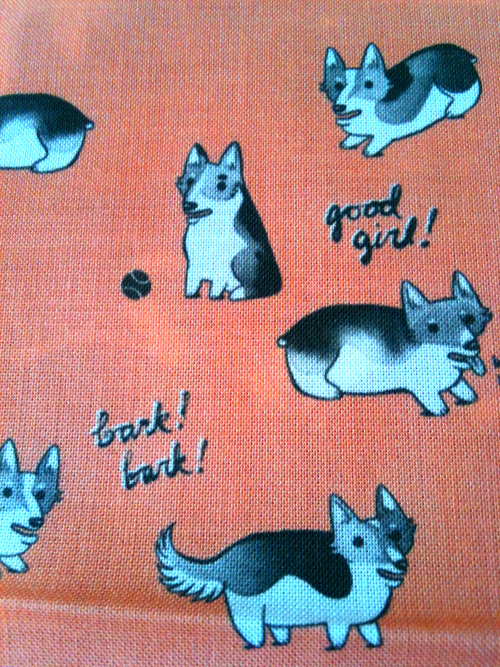 In my last post, I mentioned that I had turned some drawing of corgis into a fabric pattern. 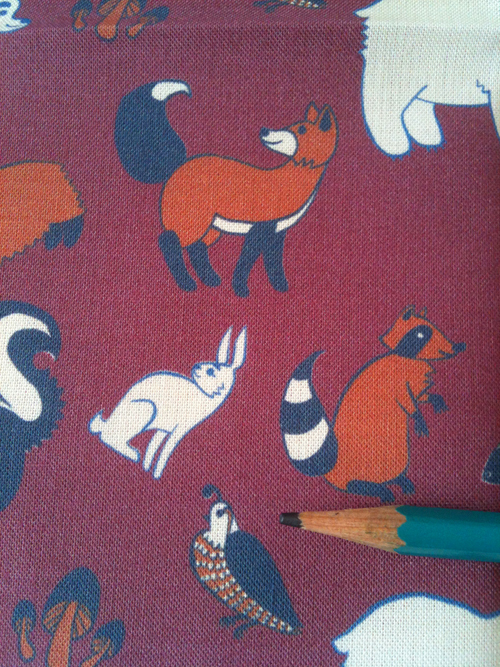 I just received my swatch in the mail today, and it looks great! Really, the pictures I took don’t do them justice. 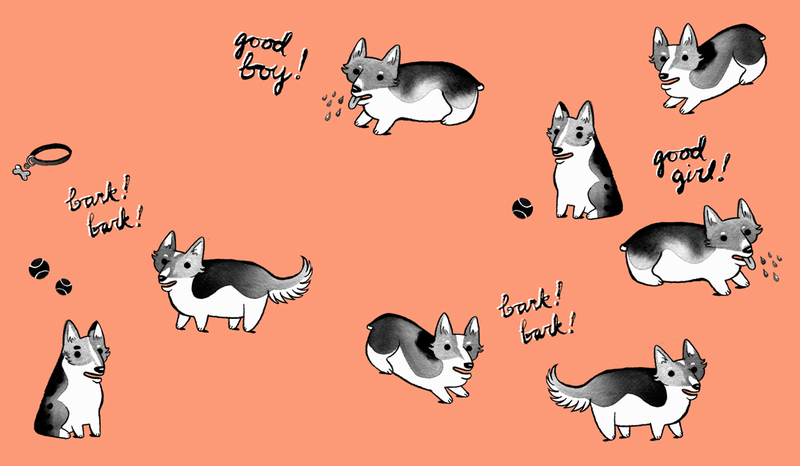 Each corgi is about 1.25″ long. It’s super cute, if I say so myself. 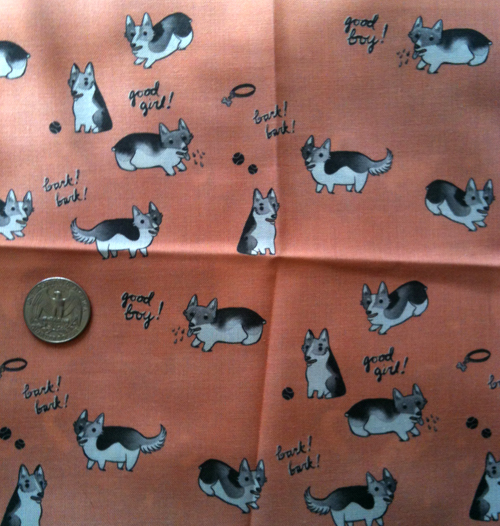 I also ordered a swatch of fabric that I designed a while ago. Unfortunately, the color isn’t as rich on this one as I was expecting. It’s still pretty good though. And I think it would be worth going back and redesigning the layout so it isn’t so easy to pick out where the pattern starts to repeat. Besides that, I started a painting the other day, but progress has been slow after a stupidly pulled a bunch of muscles in my arm while playing tennis. But I like how it looks so far! And by being forced to slow own, I have to think a little bit more about where it’s going. 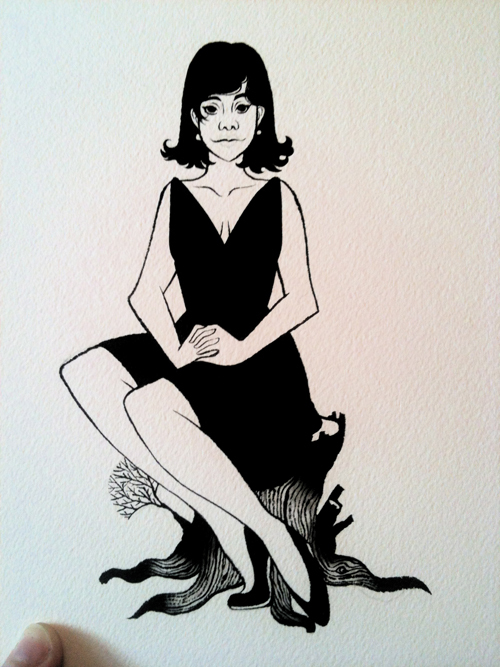 I was considering giving her tattoos, but now I don’t know. 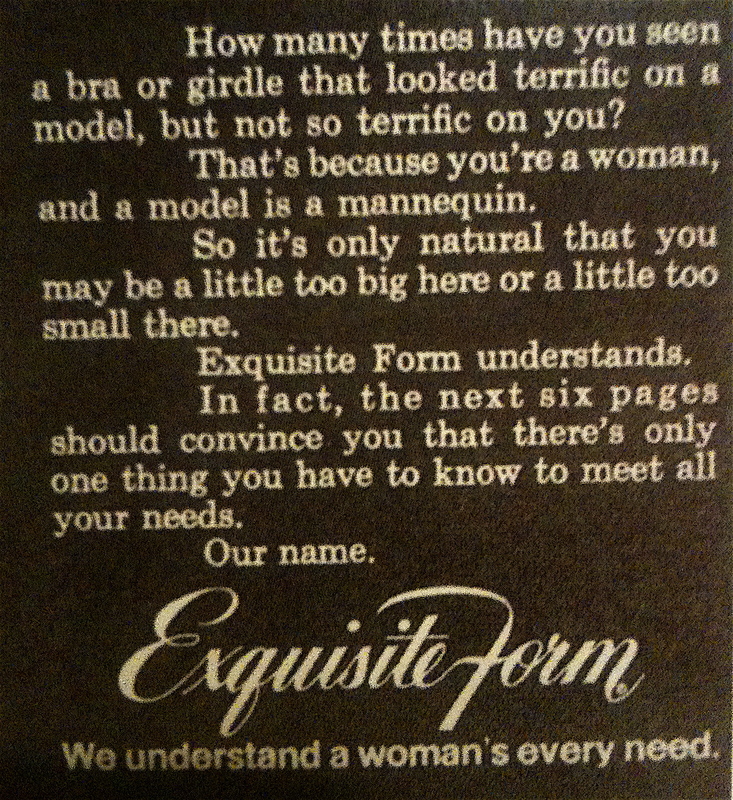 I’m torn between being awed at how modern it seems, or disappointed that advertising hasn’t gotten much better than this (although, “a model is a mannequin” seems a bit harsh, no?). LOVE THE SWATCHES!!!! Too cute! 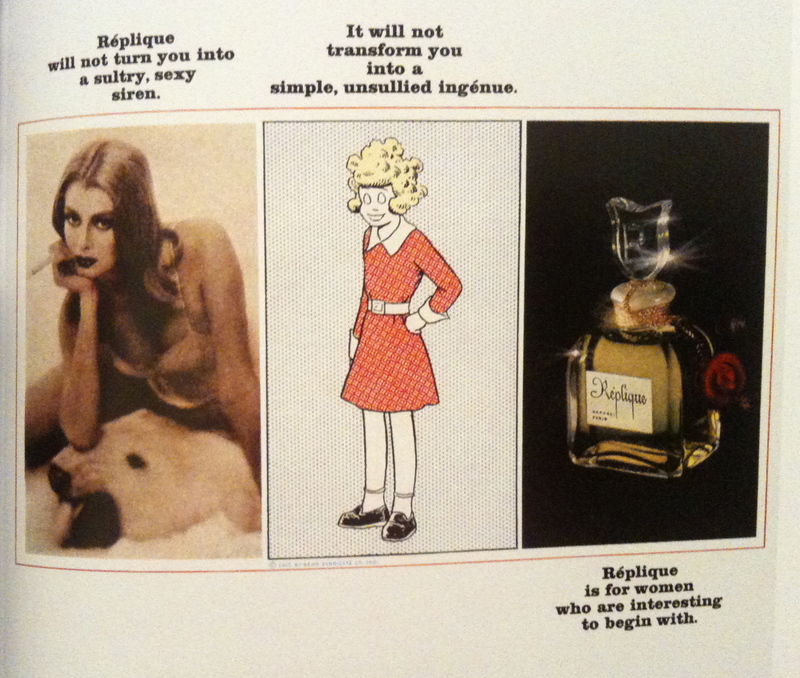 Reblogged this on Designing Orz. Art in Black & White..